Realtime Prices, Sentiment, Tweets, Scuttles, News and discussions on Nvidia Corp. NVIDIA Corporation (NVIDIA) is engaged in creating the graphics chips used in personal computers (PCs). The Company operates in three segments: graphics processing unit (GPU) Business, professional solutions business (PSB) and consumer products business (CPB). Its mobile processors are used in cell phones, tablets and auto infotainment systems. Designers use GPUs to create visual effects in movies and create everything from golf clubs to jumbo jets. NVIDIA solutions are based on two technologies: the GPU and the mobile processor. GPUs are the engines of visual computing, the science and art of using computers to understand, create and enhance images. It has three GPU product brands: GeForce, Quadro and Tesla. During the fiscal year ended January 29, 2012 (fiscal 2012), it acquired Icera Inc. In fiscal 2012, it launched Project Maximus. Effective July 29, 2013, NVIDIA Corp acquired Portland Group Inc, a wholesaler of parallel computing software, from STMicroelectronics NV. 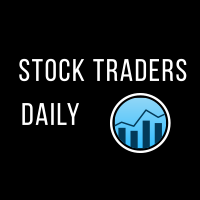 For a limited time get your FREE Stock Traders Daily report on NVDA. Get it now.